Michelle's Cottages proudly present two charming self-catering holiday cottages on the East Kent coast. 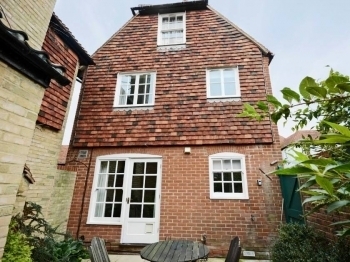 Choose between a mini-castle in Dover, sleeping up to four, or a modern town house for two in the heart of medieval Sandwich. Each property has either a four-poster or canopied beds, making it perfect for that romantic getaway. 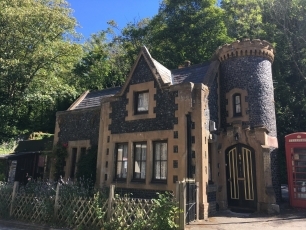 The Gate House is a near neighbour of Dover Castle and offers a fairy-tale opportunity to stay in a mini-Gothic castle. 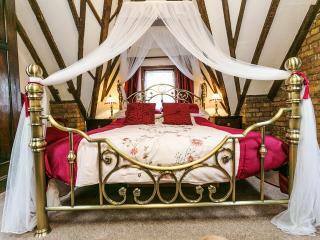 With turret, beams and a canopied bed, where better for a romantic break? This historic cottage sleeps two plus two. A pub and shops may be found within half a mile. Stour Cottage nestles in a quiet part of medieval Sandwich, close to the Old Town Walls Walk and just a short stroll from the town centre. It offers everything two people need including an enclosed courtyard garden, a private garage and the bonus of a four-poster bed. Shops and pubs are just 200 yards away. A cosy, intimate little hideaway. Both cottages are pet-friendly and dog-friendly, allowing up to two canine companions. This area of East Kent has a host of places to visit and things to do. First to mention are the world-famous White Cliffs. Then there are Dover Castle, Walmer Castle and Deal Castle - all beautifully preserved. 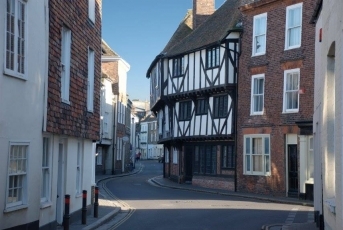 For historic towns visit Sandwich, with its narrow medieval streets and plentiful cafes, or Canterbury with its cathedral, theatre, restaurants and shops. If you like the seaside, Broadstairs has numerous sandy bays while Ramsgate and Folkestone boast pretty harbours. And, for some, the stay would only be complete with a cross-Channel trip by ferry or tunnel.